European TuToring Process in Psychiatry And Mental Health. 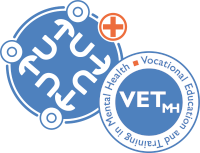 This project will formalize, experiment and assess a European Tutoring Process tailored for the new professionals who plan to work in the Psychiatric and Mental Health field. We notice a shortage of practitioners, nurses, nursing auxiliaries and psychiatrists in the mental health sector. Furthermore, professionals tend to quit prematurely the profession and tend to ask for several career adjustments. Finally our population pyramid will lead us in the near future through a massive retirement of professionals and the replacement is not guaranteed. Young employees will be asked to take part in a 3-years tutoring process. Guided by an experienced tutor, they will benefit from the trans-generational expertise handover. Moreover, visits of several European excellence centers will be suggested. Through academic training but also by placing the person in professional situations in different workplaces around Europe, the professional will improve their skills and knowledge. To understand the mental health sector’s special feature and the professionals training, we pool seasoned professionals’ field experiences and professional situations with the users. This project combines didactic capabilities; tutoring process, but also teaching and university courses with a practical background; personal contact with the professionals and the users. Propose numerous, flexible and quality job opportunities to the trainees. Step I : from July 2014 until February 2015. Step II : from March 2015 until February 2017. Step III : from January 2017 until August 2017. Dissemination of the intellectual outputs. A sociological essay dedicated to the junior health professionals. This project also aims for the consolidation of a European network of centres specialized in psychiatry and mental health. The Haute Ecole de la Province de Namur will deliver in 2017 6 ECTS credits to the young professionals. Thanks to the Erasmus+ funding, as organizer, CNP St-Martin has to manage a 265.600 euros budget and its distribution among partners in order to lead to the complete achievement of the project. Please feel free to the project coordinator Mr , Centre Neuropsychiatrique Saint-Martin. © TuTo+ All rights reserved.